Words seem inadequate to express the sorrow felt by the loss of "Sean collier". My heart is with his family. Thank you for your defending and keeping us safe. No one can ever express the true grattitude and sorrow we all feel for the pain you all feel. Believe this, for every person who writes a million feel the same and our thoughts and prayers are with you all and your families. family. I encourage you all to keep your heads up because God loves you. Rest well, Officer Collier, your sacrifice saved many lives and set into motion the events that ended their cowardly attacks. Whether the bombs were meant for the campus itself or another target, you prevented them from having the time to harm those whose lives you swore to protect. A hero's welcome awaits you. Endless thanks to you and to the MIT Police for protecting the entire MIT community. Your kindness and sacrifice will never be forgotten. My sincere condolences to the Collier family. The MIT police are true community police in the best sense - protecting the bubble of MIT from the world without and creating a place safe from the demons so we can pursue our better angels. It is a terrible tragedy that Officer Collier lost his life literally guarding that line and keeping the campus safe. I hope his family, friends and fellow officers find some solace in this time of grief. You fought the good fight, you gave it your all, to provide the best quality of security and service to the M.I.T. community. It's your time to rest in paradise, we will continue to serve and protect our schools, cities, and counties throughout the United States and I will never forget your courage and sacrifice. God Bless You & Your Family. As a criminal justice student with intentions to become a police officer, thank you for your service. Men like you are why I want to be a copper. RIP brother. Officer Collier, thank you for your service to MIT and our country. You made MIT a safe and welcoming place for our entire community. God bless the Collier family during this difficult time of loss. Our prayers and sincere condolences go out to the Collier family in memory of Officer Collier and his valiant service to MIT and the community. Thank you for your service to our children and the community. God bless your family. 1 Million "likes" for MIT Officer Sean Collier- www.facebook.com/OfficerSeanCollier THANKYOU FOR YOUR SERVICE TO THIS GREAT NATION. GOD BLESS YOUR FAMILY AND FRIENDS. THOUGHTS AND PRAYERS FROM OURS TO YOURS! Thank you very much for your service Officer Collier. You and your family will be in my prayers. A salute to Officer Collier's valor in the line of duty. We are deeply saddened by this young man's tragic loss. Our hearfelt sympathy goes out to his family, friends and the MIT students and faculty who know him well. May God comfort all of you during this difficult time. Our deepest thoughts and condolences go out to Sean's family. It is so tragic to see him go like this. He served us well and protected us as members of the MIT community. We honor him for his service. I am a MIT student's parent. My son, Max Tang, was a good friend of yours. My whole family mourns for your death and praise highly for your honorable deeds. I am glad that you are in God's hands now and live peacefully in the heavenly kingdom. Our great condolences to your family and may God comfort them with peace and shower great blessings on them! I didn't know Officer Collier, but I do know the MIT police. I've been a member of the MIT community for almost 15 years; my entire adult life. Even as a freshman, on my own for the first time in a new city, I have always felt completely safe on campus, knowing that the CPs were just a blue light phone call away. I'm incredibly sad that we've lost one of our brave and kind protectors. Officer Collier's family and all of the MIT Police have my sympathy and my gratitude. As a wife and mother of MIT graduates, I cannot express how grateful I am to Officer Collier and the entire MIT Police Department for all they do to protect our students who work, study, and play all hours of the day. Thank you for helping a mother feel her daughter is in good hands when she is so far from home. Our family is deeply indebted to you, and our prayers and thoughts go out to Officer Collier’s family and friends. He has left his mark on the world by the way he lived and the difference he made in the lives he touched. Whether it was true or not, when I was a student at MIT we were told that if we should ever get in trouble (including with the Boston or Cambridge police) that we should call Campus Safety and that they would come and get us. Unlike at other colleges, our Campus Safety existed to keep US safe, not to protect the campus FROM us. I wish I had known Sean when I was a student - he seems to have brought so much joy as well as security to the lives of all those he protected. My deepest condolences to the Collier Family, MIT Police Dept. and the community. Thank you Officer Collier for your dedicated service in protecting our children who we have entrusted to MIT. Our deepest sympathies for the friends and family of Officer Collier. As MIT alums, we are grateful for the services of the MIT Police. My sincere condolences to the family of Sean Collier. The MIT Police serve the MIT community so graciously. I have had the honor of working with the MIT Police as a Crew Chief for MIT-EMS and can say that each and everyone of the officers puts the well-being of the MIT community before his own. 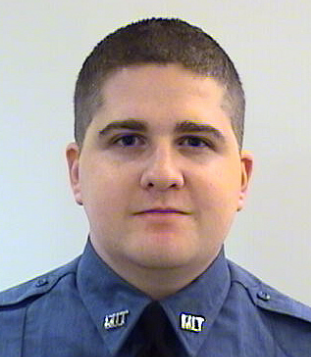 MIT would not be the fine institution it is without the MIT Police and officers like Sean Collier. My thoughts and prayers go out to Sean's family and the MIT Police Department. I never met Officer Collier but from what I hear he was a wonderful person and an excellent cop. RIP Officer Collier.